You can watch recordings of the papers by clicking here. The Warwick Research Collective recently published its field-defining work, Combined and Uneven Development: Towards a New Theory of World-Literature, in Liverpool UP’s ‘Postcolonialism Across the Disciplines’ series. As it staked its position in the C21 debates over world-literary theory, the book posed new questions. One of these concerns the periodising of ‘world-literature’, the literature of the modern world-system. Shakespeare’s and Cervantes’ texts stand at the portal of this era, the world-ecological regime inaugurated by early modern capitalism. Theorised two centuries later by Herder and Goethe as Weltliteratur, world-literature found one of its key transit points in Ludwig and Dorothea Tieck’s nineteenth-century German translations of Shakespeare and Cervantes, translations that were to have a shaping influence on Marx’s theory of capital. It was Marx who saw the capitalist era as inaugurated by an epochal crisis in social relations, systems of production and the appropriation of nature, a conceptualisation that raises the question among other things of how we are to periodise the present crisis. If the present upheaval in the world-system (a system that now encompasses the entirety of the planet) reflects an epochal crisis of the kind that brought capitalism on to the world stage, it is in theory possible to read evidence of this shift in the world-literature of today. It’s the premise of this symposium, for example, that both Shakespeare’s and Cervantes’ texts register in various ways the slow shock of the transition to capitalist modernity. At the same time, the early seventeenth century can be read as marking the onset of what has more recently been publicised as the Anthropocene (or, in Jason Moore’s counter-term, ‘Capitalocene’), signifying the date beyond which it no longer makes sense to disarticulate human from so-called natural history. Three areas thus provide the focus of this symposium: literature of the early modern period, contemporary expressions of capitalist crisis and the relations of human and extra-human natures posited by world-ecology. The symposium will comprise two events: A day of speakers on Monday, 10 October and a roundtable discussion on Tuesday, 11 October, both in the Wolfson Research Exchange. "The Early Modern Period and the Current Phase of World Literature," Walter Cohen (Michigan). Walter Cohen is professor of English at the University of Michigan. From 1980 to 2014, he was professor of Comparative Literature and an administrator at Cornell University. He has published Drama of a Nation: Public Theater in Renaissance England and Spain" and is one of the co-editors of The Norton Shakespeare. His new book, A History of European Literature: The West and the World from Antiquity to the Present, will be published by Oxford early next year. “The World Literary Nexus in Ludwig and Dorothea Tieck’s Translations of Shakespeare and Cervantes,” Christian Smith. Recently a Teaching Fellow at Warwick English, Smith now studies independently in Berlin. His research looks at the influence of Shakespeare on Karl Marx, Sigmund Freud and the Frankfurt School Critical Theorists. He is writing Shakespeare's Influence on Karl Marx: The Shakespearean Roots of Marxism. "Language, crisis, exhaustion: peak signification in contemporary world-literature," Nicholas Lawrence (Warwick). Lawrence teaches American literature, world literature and critical theory in the Department of English & Comparative Literary Studies. He is a member of the Warwick Research Collective. Dr. Sharae Deckard is a Lecturer in World Literature in the School of English, Drama and Film Studies at University College Dublin. Her research interests are concentrated in the intersection between world-systems and world-ecology approaches to world literature, environmental crisis, and neoliberalism. She has recently co-edited special issues of ARIEL on "Experimental Writing and Globalization" and of JWSR on "Ireland in the World-System," as well as editing special issues of the Journal of Postcolonial Writing on "Postcolonial Studies and World Literature" and of Green Letters on "Global and Postcolonial Ecologies." Her first book, Paradise Discourse, Imperialism and Globalization appeared with Routledge in 2010, and she is a co-author with WReC of Combined and Uneven Development: Towards a New Theory of World-Literature. She has published multiple articles and book chapters on world-ecological and postcolonial approaches to literature in forums including MLQ, Interventions, JPW, ARIEL, What Postcolonial Theory Doesn't Say, Global Ecologies and the Environmental Humanities, Ecocriticism of the Global South, and Postcolonial Green. "Driven to Abstraction: Modernism in the Web of Life" Michael Niblett (Warwick). Michael Niblett is Assistant Professor in Modern World Literature at the University of Warwick. He is the author of The Caribbean Novel since 1945 (2012). His most recent publication is the co-edited collection The Caribbean: Aesthetics, World-Ecology, Politics (2016). 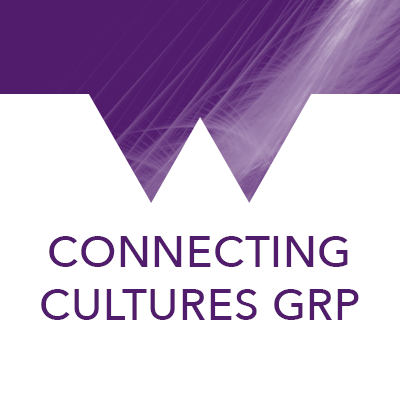 A two-hour discussion between the Warwick Research Collective (Nicholas Lawrence, Sharae Deckard, Upamanyu Pablo Mukherjee, Neil Lazarus, Stephen Shapiro, Graeme Macdonald), Paulo de Medeiros, Christian Smith and Walter Cohen. Open to auditors. The purpose of this discussion is to explore and debate ideas and issues arising from the theme of the symposium and to explore possible research collaboration in world-literary theory. The symposium will be filmed and archived on the English department website. The symposium will be live-streamed globally and online viewers will be invited to join the discussion and Q&A. To watch the livestream click here: Spectrum Ends livestream You can join in the discussion by writing your question or comment in the comment box. Our moderator will read them and choose from among them to ask the speaker. Many thanks to Humanities Research Centre, Connecting Cultures GRP, and the Department of English and Comparative Literary Studies for funding the symposium.